What are the advantages of stump grinding? After a tree is cut down, it is important to decide what to do with the stump that is left behind. 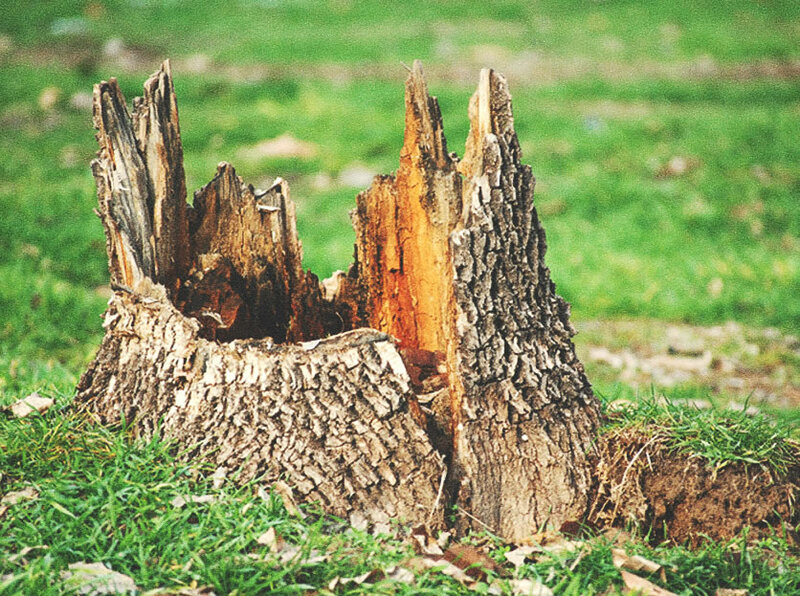 Some types of tree stumps produce new sprouts, called stump sprouts, from buds at or below ground level that regenerate using energy stored in the existing root system. The result can be a nuisance and rather unsightly. One of our qualified staff can let you know whether or not the stump you have is likely to grow back. 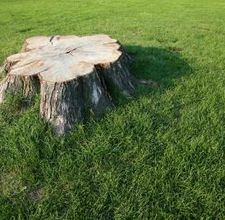 Even if the stump will not regrow, the sight of an ugly stump in your yard may be undesirable and hard to mow around. Stump grinding eliminates these problems. After the stump is ground the area can be prepped and made ready for top soil and sod. What things should I be aware of when hiring someone to grind a stump? There can be a significant difference in quality from one company to another. Some companies only grind a few inches below the surface. JLH Tree Company grinds down 6 inches to a foot below grade. Some companies will grind the stump but leave the huge pile of mulch and dirt for you to clean up. We remove enough dirt and mulch so that top soil and sod can be put down after we are done. Will the stump grow back after it has been ground? About 95% of the time there is no re-growth after a stump has been ground out. Occasionally, roots below well below the surface will put out sprouts that will emerge through the surface of the soil. If this happens, simply apply Roundup or a liquid stump killer (available at Lowe’s or Home Depot) which will kill of any remaining roots. What happens if an irrigation pipe or electrical line is hit while grinding a stump? Although most stumps grind out without a problem, every once in awhile we find that a tree was planted right on top of an irrigation or electrical line. Our crews carry limited irrigation supplies on the trucks and can usually repair any pipes that break during stump grinding. As long as the repairs are basic and we have the right supplies to make the repairs, we normally do not charge any extra fee. This is done as a courtesy to our customers. Note: If repairs require extensive time or equipment we do not have on hand, we may charge an extra fee for parts and labor or refer you to an irrigation company that can handle the repair. Another option is to simply cap the pipe if the irrigation system is out of use. We do not carry electrical supplies and if an underground electrical line is damaged the owner assumes responsibility for repair. See our underground policy at the bottom of the page for more information. JLH Tree Company does not claim responsibility for broken pipes, electrical lines or other underground materials that are damaged during stump grinding. If we are alerted to the presence these materials beforehand we can usually avoid causing any damage. It is the responsibility of the property owner to be aware of the presence of these items and therefore takes on the responsibility of any repairs.